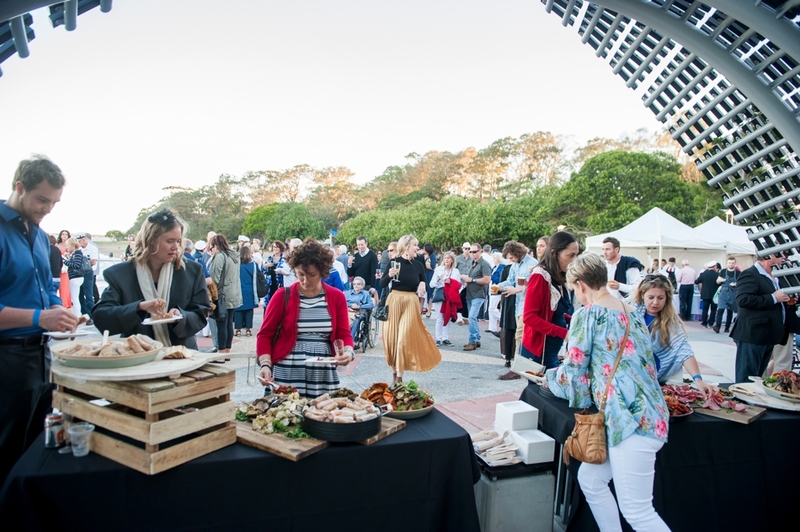 Presented by Sandgate and Districts Chamber of Commerce, Cuisine on Cue was excited to host this premier event on the enchanting Shorncliffe Pier. 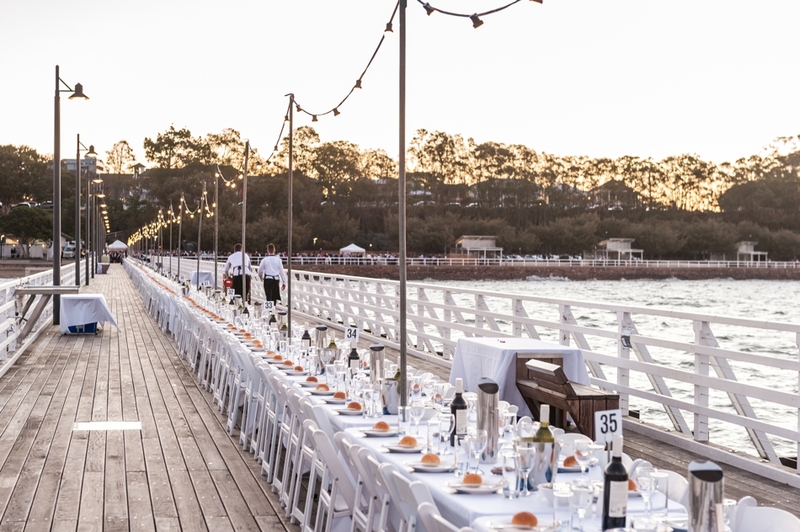 600 Diners arrived to the Long Table Dinner at 5pm on Saturday 15 October, where they were seated at the 210-metre-long dining table overlooking Moreton Bay waters. 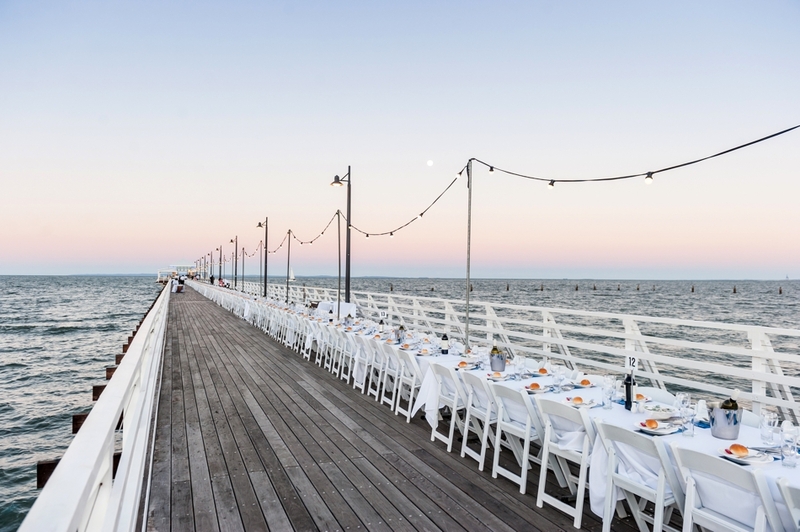 Set just north of the Brisbane Entertainment Centre, the Shorncliffe Pier stretches out from the foreshore for over 300 metres. 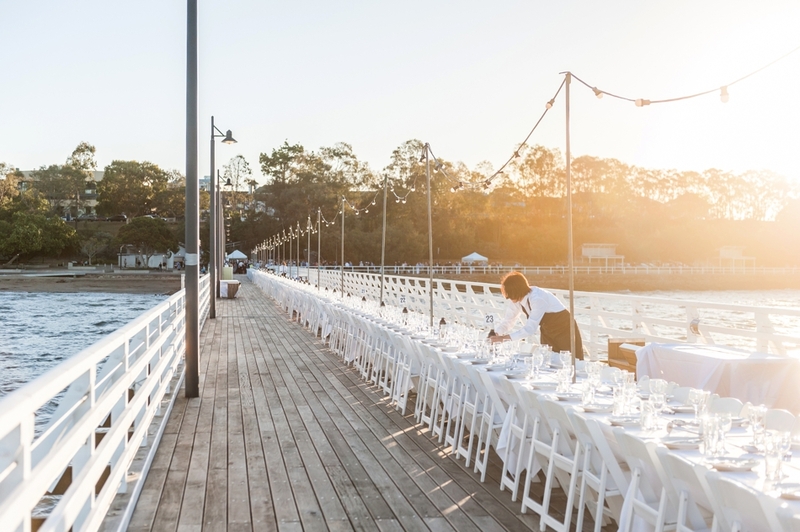 As one of the nation’s longest timber piers, this was a unique dining experience for the many attending diners. 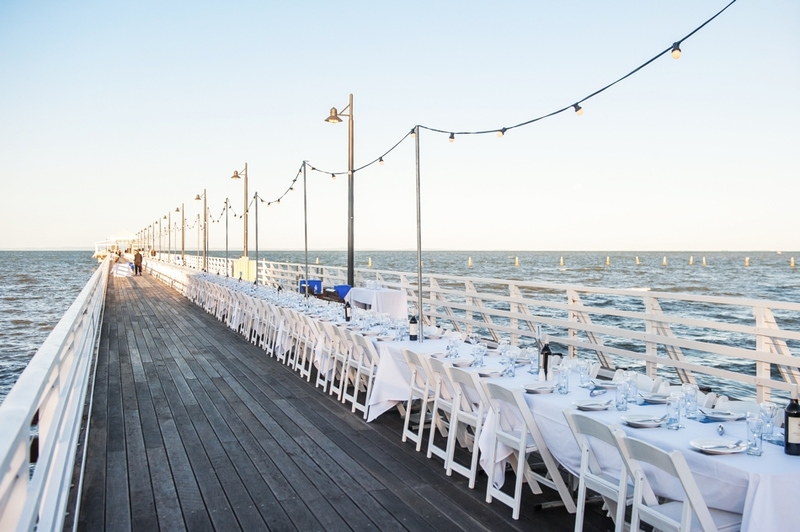 The long table stretched down the pier, allowing every guest at the dinner a waterfront seat throughout the night. 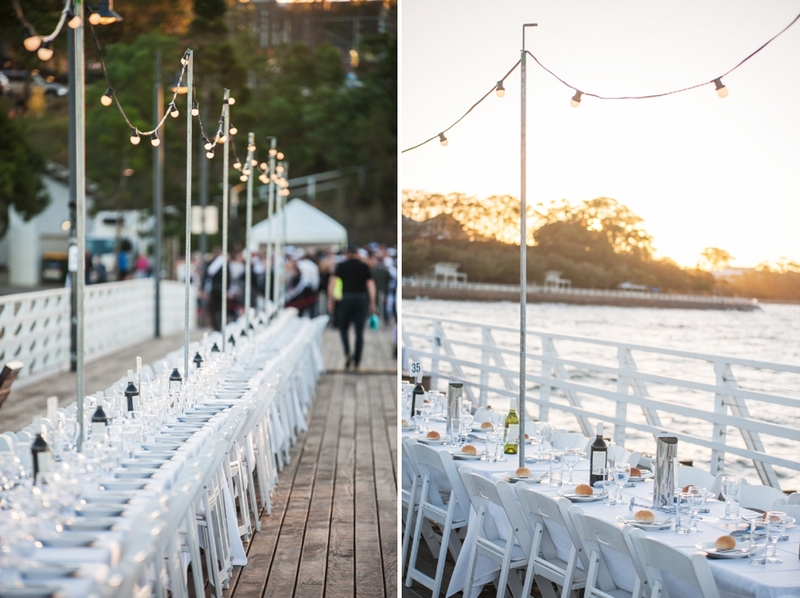 Overhead, festoon lights glittered over a decorated table, crafting an elegant and enchanting atmosphere in the night’s air. 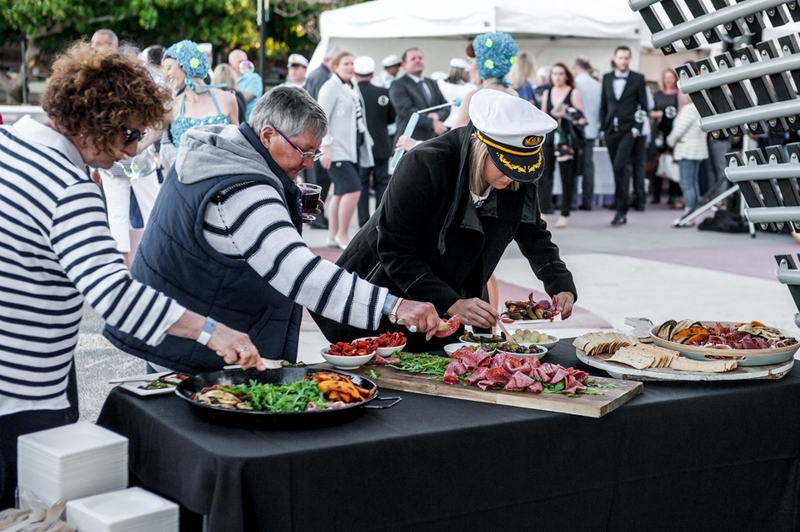 The evening’s décor and styling was provided and erected by Cuisine on Cue. 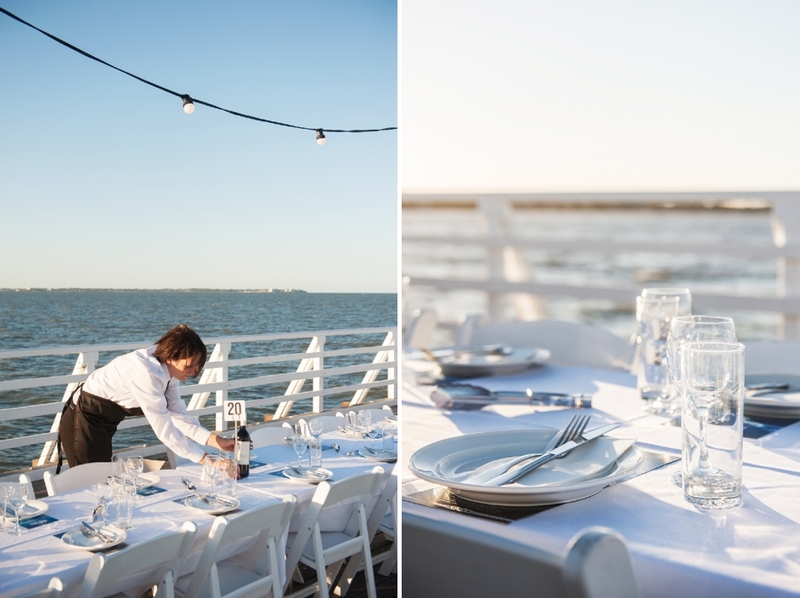 Early arrivals were treated to a stunning sunset over the water as Cuisine on Cue staff started the night with entrees and arrival drinks. 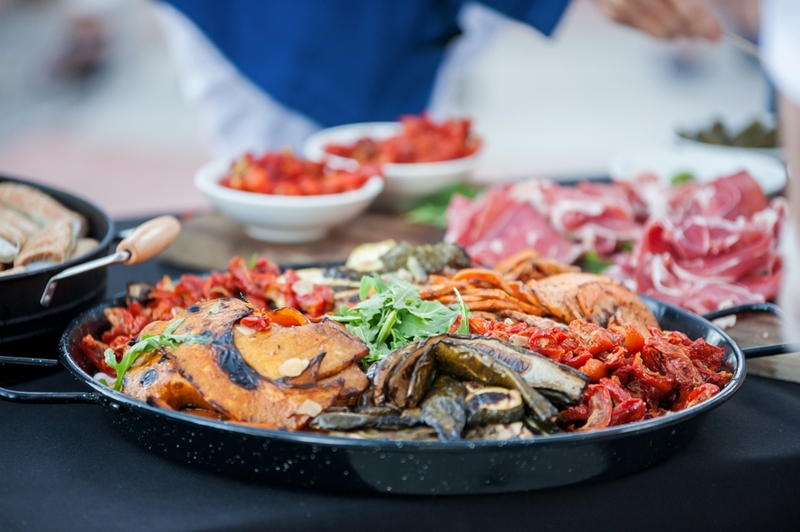 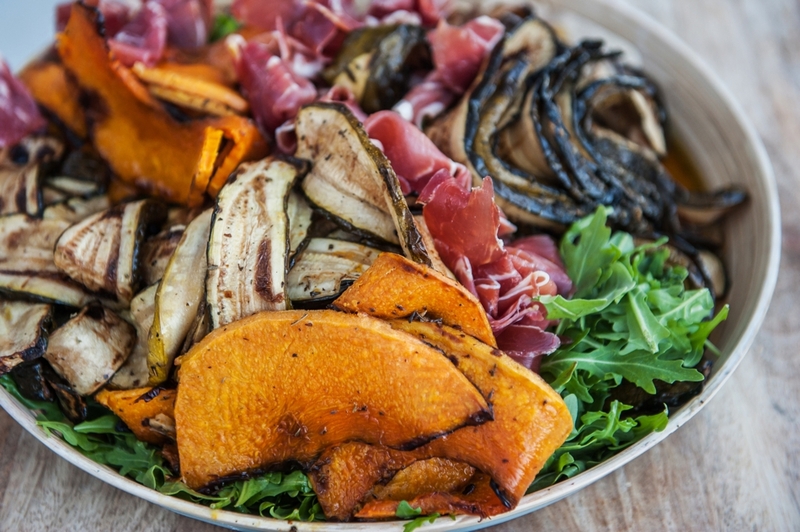 With beverages in hand, guests were welcomed to approach the two grazing stations, laden with selections of char-grilled vegetables, marinated olives, cured meats, and house made lavosh. 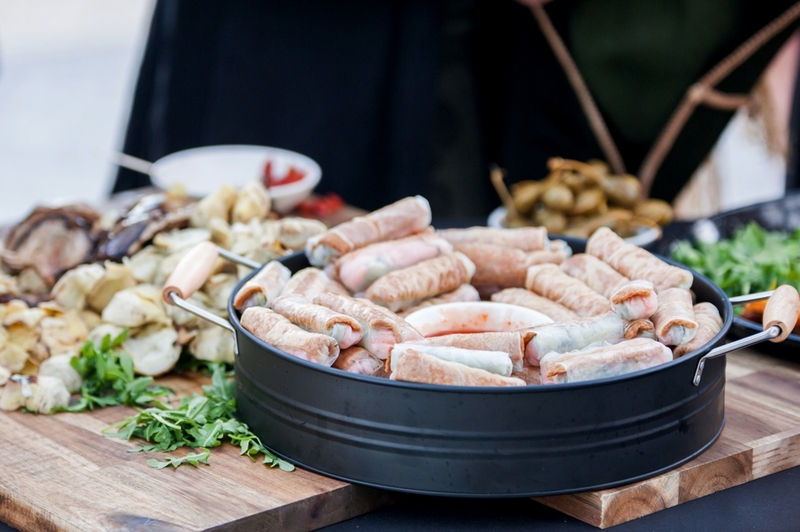 Staff also offered roaming trays of vegetable rice paper rolls. 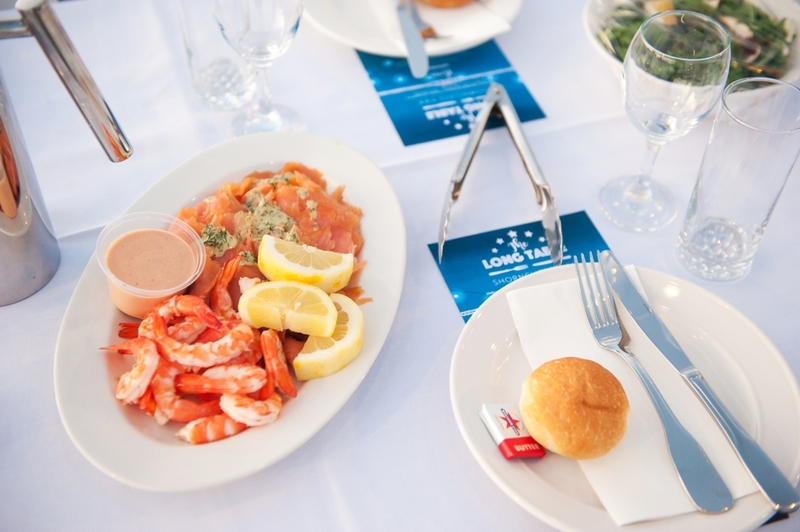 After enjoying the entrees and live entertainment on the pier, guests took their seats for a 6.40pm start to the main course. 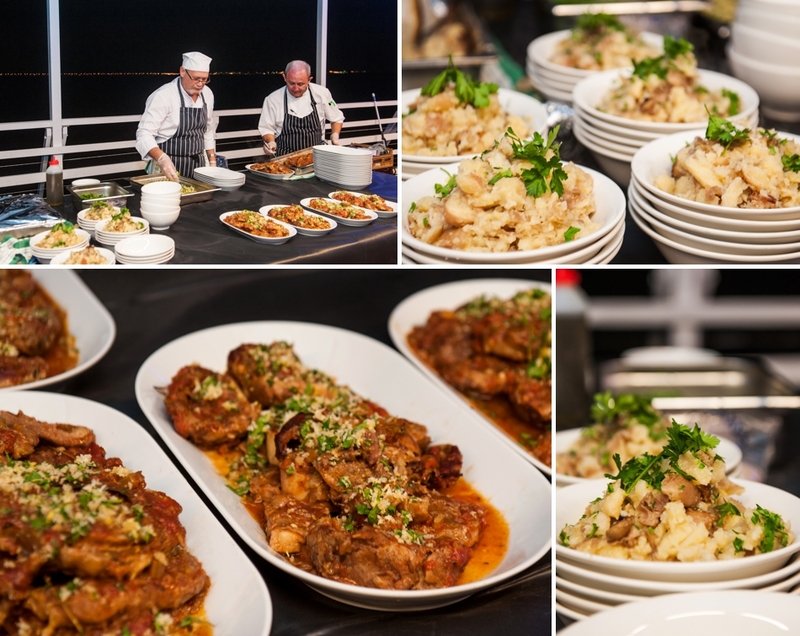 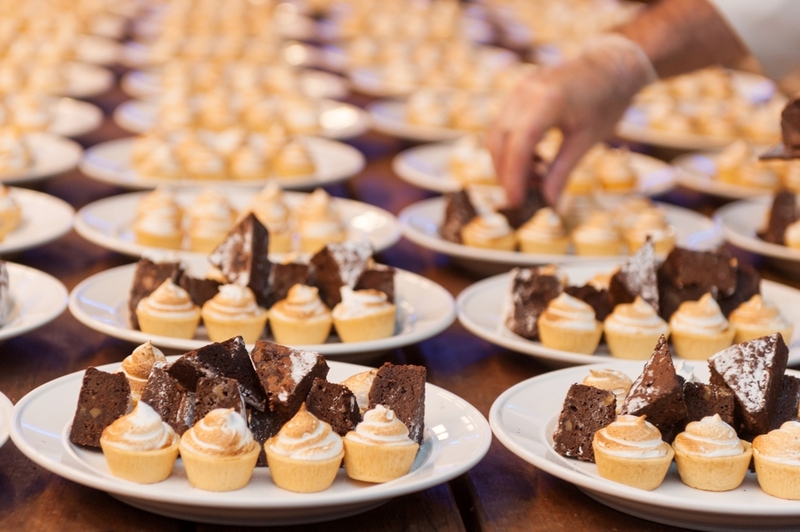 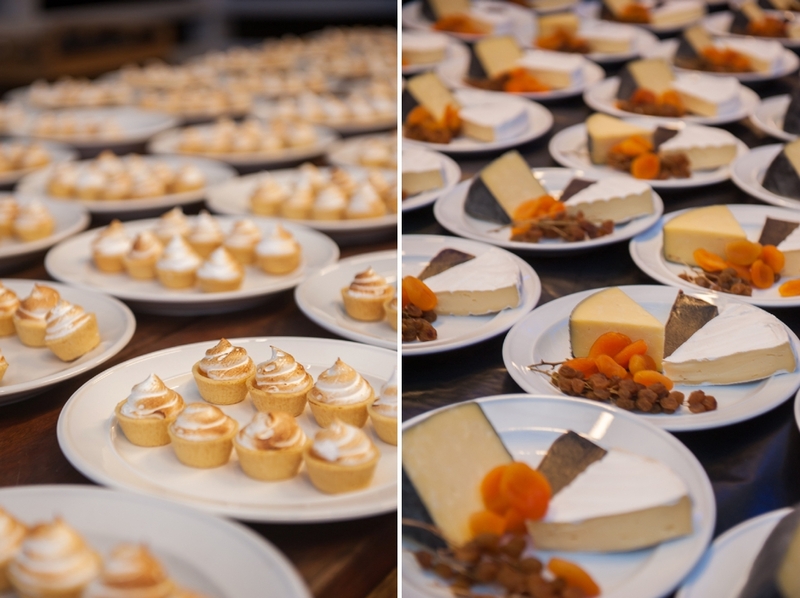 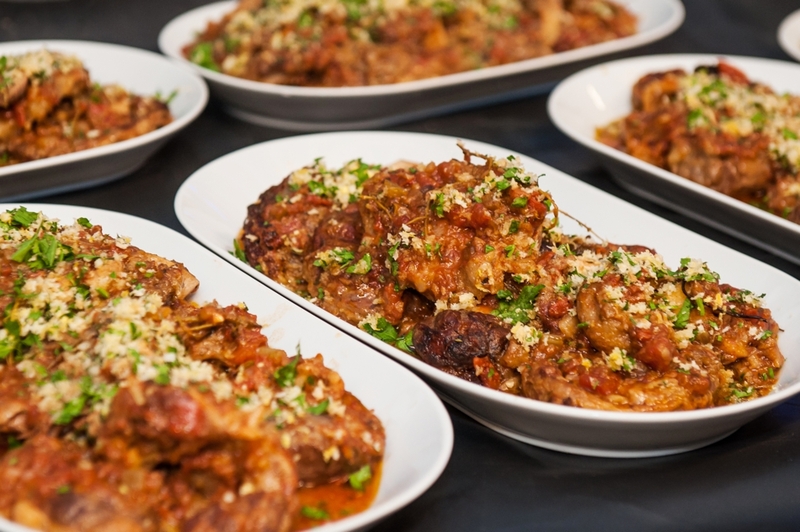 Spread along the incredible table were serves of local prawns, huon smoked salmon, veal osso bucco, pot roasted chicken, crushed potatoes with parsley and pink salt olive oil, and two salads – one sugared walnut and pear, one black quinoa with sweet potato, eggplant, and zucchini. 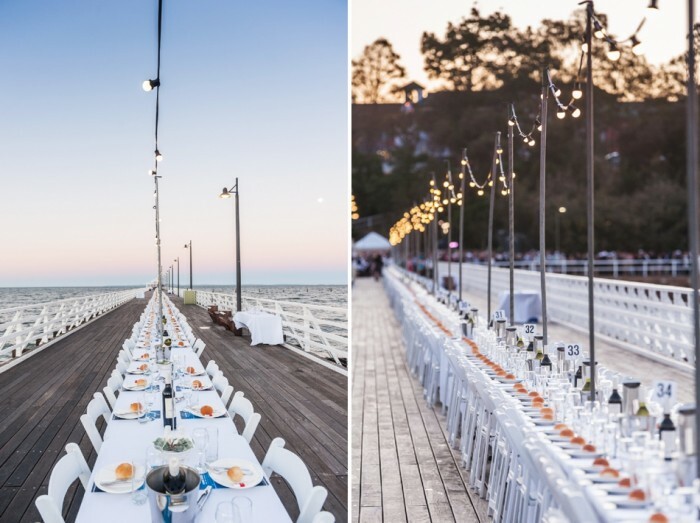 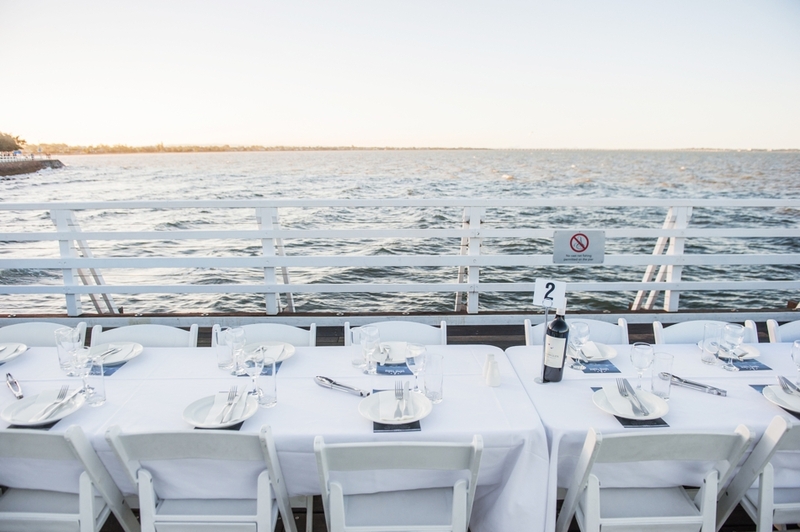 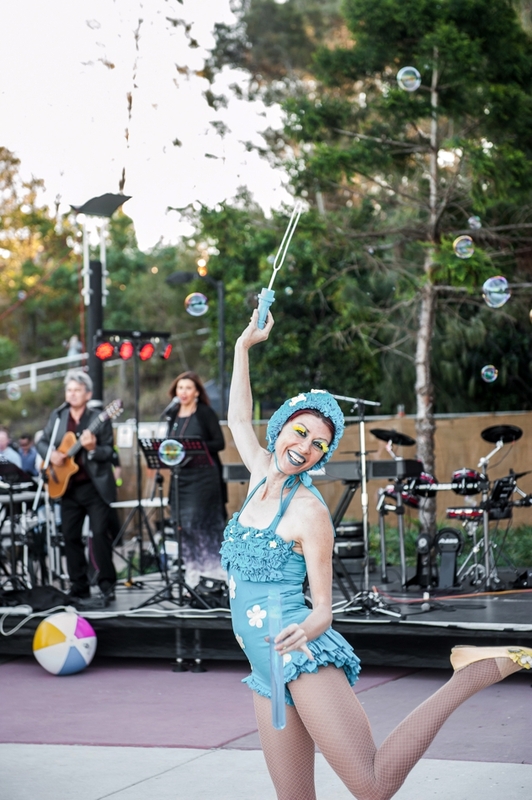 With live entertainment courtesy of a number of talented musicians, and a once-in-a-lifetime atmosphere, the Shorncliffe Pier played host to one of Brisbane’s most incredible long table events.